Interestingly though, and the reason for this post, is that Toy Commander received some interesting pseudo DLC (that's Downloadable Content, EA fans) in the years following its release. I say 'pseudo,' because it wasn't really DLC at all, and didn't even require the original game to play...but it's another way in which the Dreamcast was well ahead of it's time. 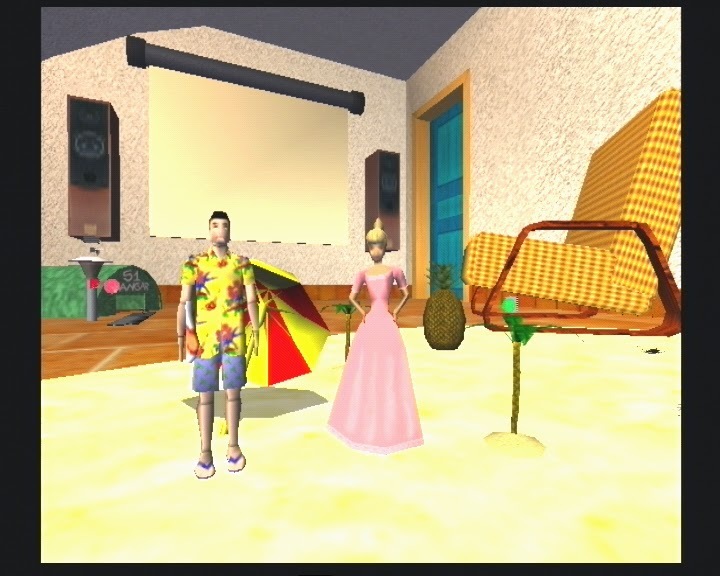 The 'DLC' I'm referring to is in fact the special 'add-on' demo levels that were released exclusively on the Dream On demo disks that came with the Official Dreamcast Magazine in the UK and US. 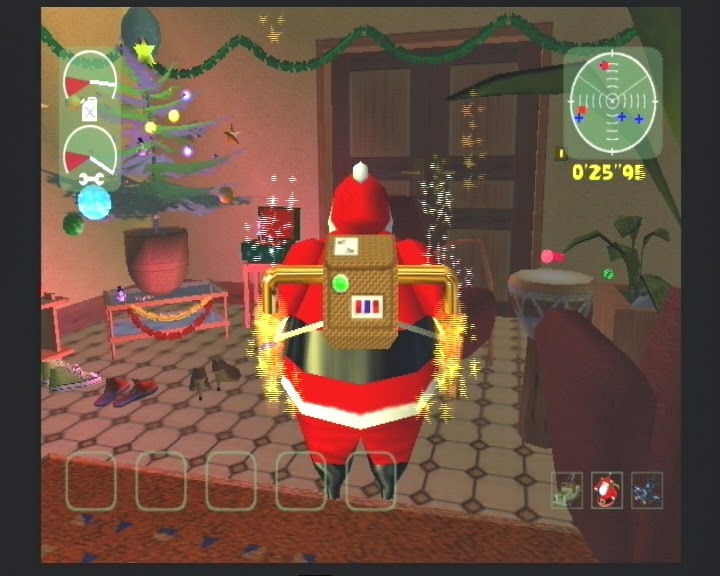 One of these was a special single-level Christmas-themed demo (titled Christmas Surprise) in which you played as a rocket-pack enabled Santa whom, with the help of a fighter plane and a heavily armed Jeep, was tasked with tracking down errant presents and returning them to their rightful place under the Christmas tree. 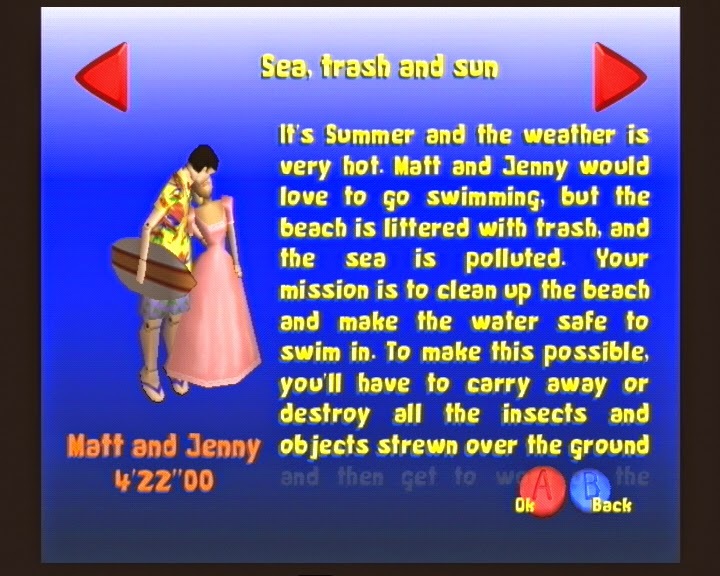 The second such exclusive demo, called Summer Special, was released on Dream On volume 11 in the UK and featured a brand new stage in which players were given the task of clearing a beach of rubbish, sharks and cockroaches so Barbie and Ken (or...er...Matt and Jenny for obvious reasons) could go skinny dipping without the worry of either having their heads chewed off or cutting their plastic feet on shards of glass...presumably left in the jacuzzi by the 8-year-old Toy Commander's alcoholic dad. 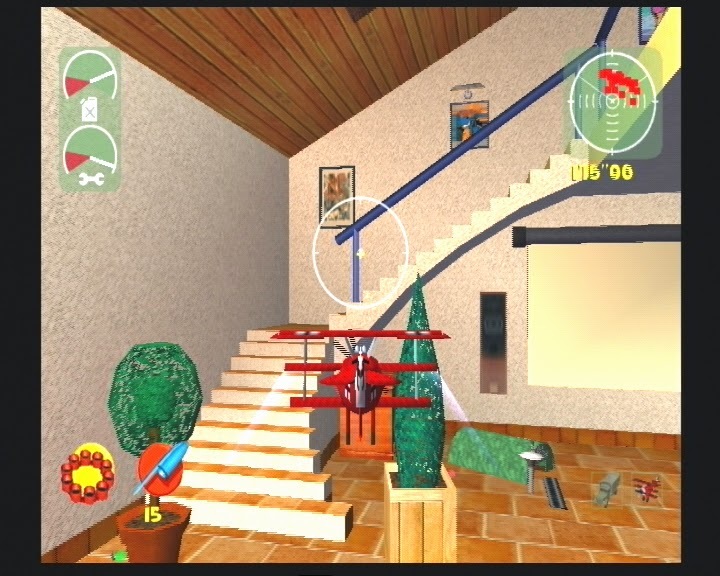 It's a fun level and allows full exploration of another section of the house the main game is set within, and you can either take to the sky in a bi-plane and just blow the hell out of everything with biro-lid missiles, or you can play a slightly more tactical game by using the truck to transport the rubbish to the trash compactor in the kitchen. Which is located behind a mini bar, adding further fuel to the theory that the Toy Commander's dad likes a bit of a drink. Either that, or the Commander himself has been at the brandy...which would explain all these outlandish war games with his Matchbox toys. 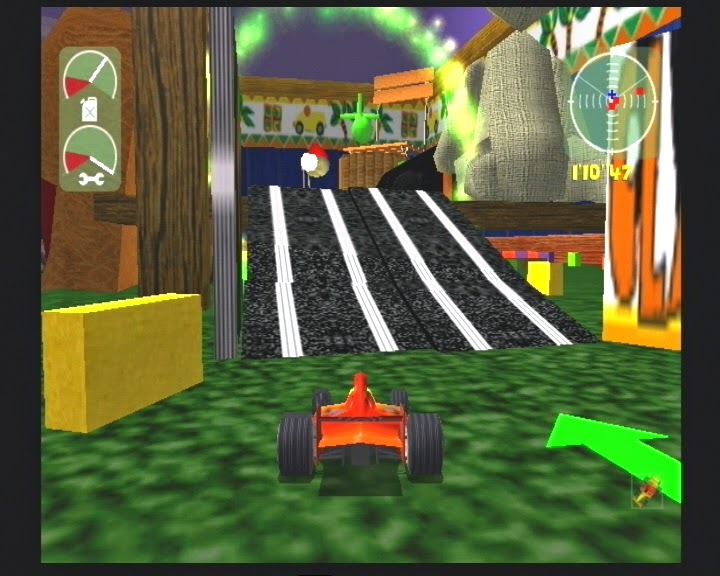 The other variant on the Toy Commander formula included on Dream On 11 is a race around the house with toy cars, but this is pretty forgettable due to the twitchy controls...and is clearly the original blueprint for the later (and yet aforementioned) Toy Racer. While these single level demos are quite short lived in practice, they do a great job of showing off the mechanics and visual splendour of the full game. But more than that, they are a fantastic glimpse of what was to come in the future. Extra content for titles we already own is a relatively normal part of gaming nowadays - all of the major franchises have multiple extra mission packs and levels released as DLC on an almost weekly basis; and while these demo missions are hardly comparable, it shows that Dreamcast developers were looking at the bigger picture. The Dreamcast was by no means the first system to offer this kind of content (even the SNES offered true DLC, with the likes of F-Zero 2), but I can't help but imagine how far this could have gone, and if the Dreamcast had managed to weather the onslaught of the PS2 and the cold shoulder of EA...and the broadband adapter had been a mainstream add-on given a proper release; we might have seen new maps and skins for Quake 3 Arena, new tracks for Daytona and even extra characters for Soul Calibur. As it is, these Toy Commander missions serve merely as a taster of what could - and should - have been. 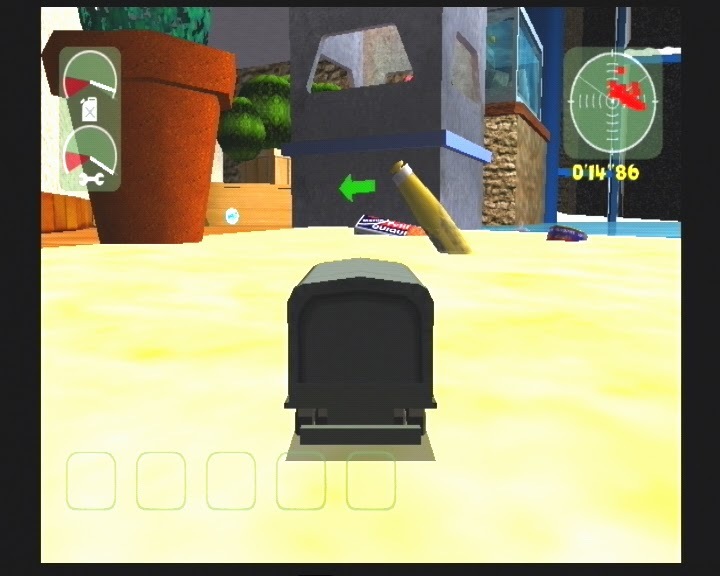 Toy Commander was always my second favorite Dreamcast game (after Sonic Adventure, because of nostalgia) and I knew about Toy Racer and the Santa mission, but not the others! Cool stuff. I too wish it had survived, to at least a real sequel. Oh well. Hman - you can get the demos on Dream On volumes 11 and 16 in the UK/Europe, if that helps. Not sure about the rest of the world.